When travelling in New Zealand, travelers will not have to worry about accommodation choice because here there is more options, ranging from motels, hotels, to camping ground. However, during high season you need to make accommodation reservation about a week earlier when visiting big cities and places popular among local tourists.At Christmas, the local community usually takes 2 to 3 weeks off. Usually a place near the beach or the lake will be filled with local tourists.Because the people of New Zealand more like holiday parks, holiday self-cater, campsites and hostels will be full and the price will be more expensive.Instead, the town near the ski resorts will look busy between July and September, usually on Sundays or during school holiday periods. 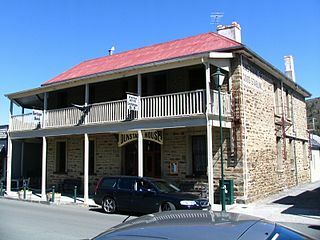 Prices range from NZ $ 100, the hotel usually offers comfortable rooms with character and historic buildings are likely due to an old building. However, local people generally prefer to stay in a motel while on vacation. Price range motels at NZ $ 100-299 with bathroom facilities, kitchen along with tea and coffee, as well as television. The room offered is a form of uni, study, or suites that can accommodate up to 8 people. In western countries, the system Bed & Breakfast is quite popular among the poor traveler. With price range NZ$ 80 to $ 300 NZD. The accommodation offered is simple bedroom with breakfast and bathroom outside shared with other occupants. For a place with a fairly high rate, they usually refer to themselves as a boutique hotel or lodge, and of course the service is offered also in accordance with the price. Room rates generally fell during low season. B & B could be an option if the tourists are traveling alone and did not want to stay in hostels. If the occupant is only one room only, the price can be 50% of double room rate. This type of accommodation is suitable for walkers who want to feel the experience of staying with locals. There, you can occupy a room with breakfast facility with homeowners. Farmstay offers additional experiences to share the work on the farm owned by the host.Both sides usually set the price for a double room, includes breakfast. If you want to be provided lunch or dinner, travelers must pay an additional fee. This type of accommodation is spread in strategic locations, namely in the city center, near beach, close to the ski fields, or near the national park. The price offered to a bunk bed in the dorm around NZ $ 30. Almost all of the facilities provided are used along with other residents, such as washing machine, kitchen, games room, television, and BBQ. The advantage here is that you stay will meet with many a traveler from around the world who happen to be staying at the time.So the possibility of exchanging information with the greater availability of billboards and brochures that offer tour packages daily. From the bulletin board, you can find out if there is an offer to share a vehicle from the location of the city to another.Not bad for a solo traveler downsize and need a travel buddy to share costs. The amount of different rooms. There are up to 6 bunk beds to accommodate a large room of hundreds of residents. Each guest is provided a locker, but for safety, you should bring a padlock to lock the locker. Some dorm provides towels, but there is also a rental It provides an towel. If less comfortable sharing a room with strangers, some hostels also with It provides an single room price of around NZ $ 35.For women who do not want to share a room with men, some hostels are usually also serve dorm for women. Some network backpacker thinking about a lot of branches in major cities in New Zealand is the Youth Hostels Association, Budget Backpacker Hostel, and VIP Backpacker Resorts. They have their own system and visitors who have a membership card will usually get discounted room rental rates. Cabin, Campsite and Holiday Park. Often also referred to as a motor camp, holiday park usually favored by families who are on vacation. It provides this places for location to set up a tent, a power source for a campervan, as well as some form of dorm rooms, units, or cabin. Camping was among the popular activities during the summer, especially in the South Island. Holiday Park will be filled over the school holidays, from December to late January.So if you want to use this type of accommodation for the month, should the reservation from the previous day. Campsite located on the outskirts of the city.Facilities on offer varies from a shared kitchen, lounge, TV, laundry, play room, and a swimming pool. If you want to camp, set up a tent for rates around NZ% 15 per person, if you do not want to camp, you can stay in the dorm room type with a fare of NZ $ 25 per person, or a cabin for 2 people at a rate of about NZ $ 60. One of the campsites network that has a good reputation is the Top 10. More economical camping options are also offered by DOC Campsites. DOC is part of the government that are located near national parks, protected areas, and parks with beautiful scenery.Almost all available locations DOC toilet, though simple. Some are even free DOC campsite, but it does not have special facilities. However there are water flow of rivers, lakes, and so on. DOC also provides standard tippet, which cost NZ $ 10 per person, with incoming access facility for vehicles, picnic tables, BBQ, location to start a fire.There is also a type of serviced, with a rate of NZ $ per person with similar facility to the holiday park.